ROKA ---> This setup saw its strength grow today in a large scale!! 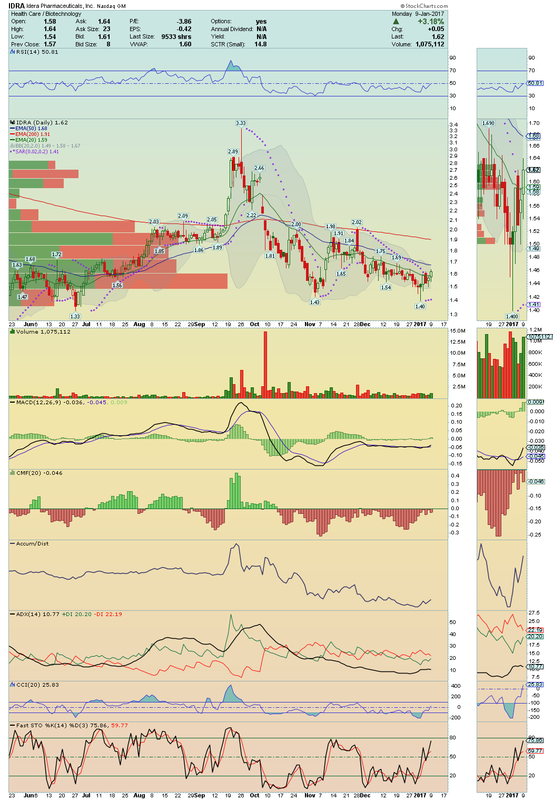 Trading under massive volume and buying pressure, ROKA prepares its big move higher!! If it confirm the break above its 50EMA with high volume again, and as it has about 10% of short float, it could SkyRocket toward its 200EMA! Stay tuned. VICL ---> It made a nice action today, with shares rising +3.83% on volume! Technical Indicators are showing strong positive divergences, which leads me to believe that, a break above its 50EMA with high volume again will open the door for a Big Run! Lots of room over $2.51! 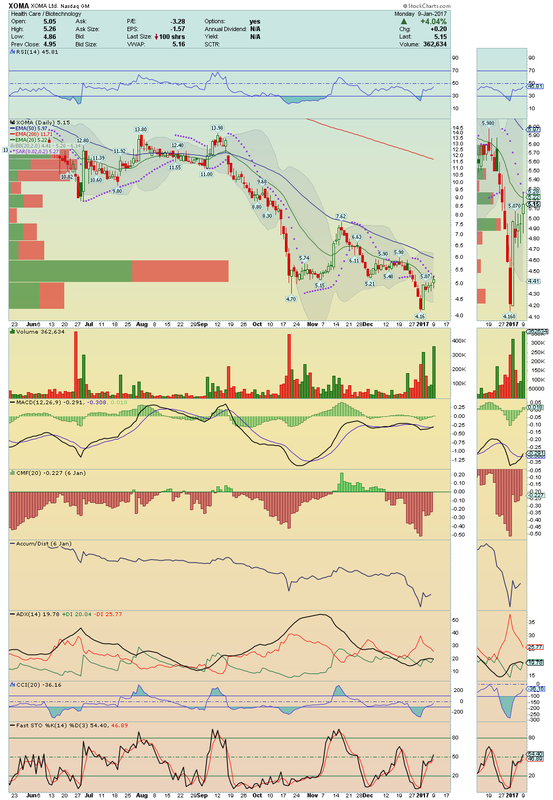 XOMA ---> Technically everything is ready, volume today was brutal, and its 20EMA is the resistance level to break! 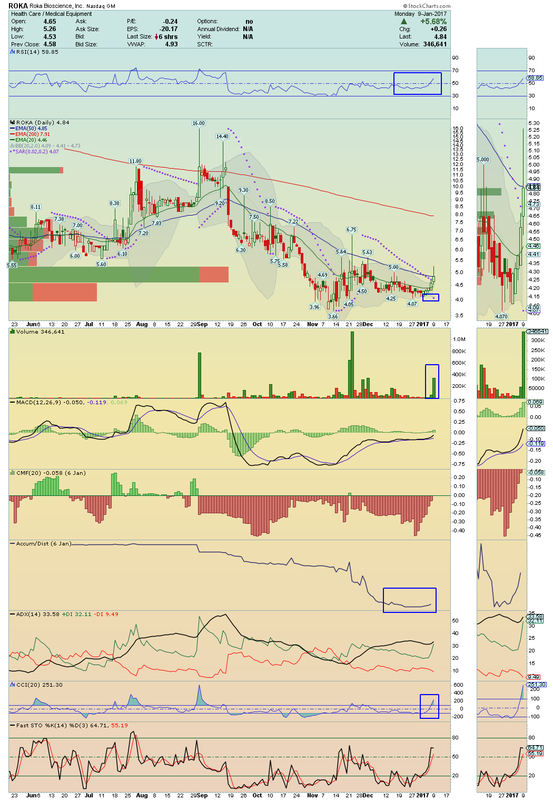 If do that with similar volume, XOMA should squeeze easily until $5.97! On radar. CLBS ---> It made a nice trade session with decent volume! MACD and RSI are giving me confidence, so i´ll watching for the break above its 50EMA! On volume, it can break this Down TrendLine easily! IDRA ---> It is another stock that has all technical indicators with strong positive divergences showing a high Momentum!! 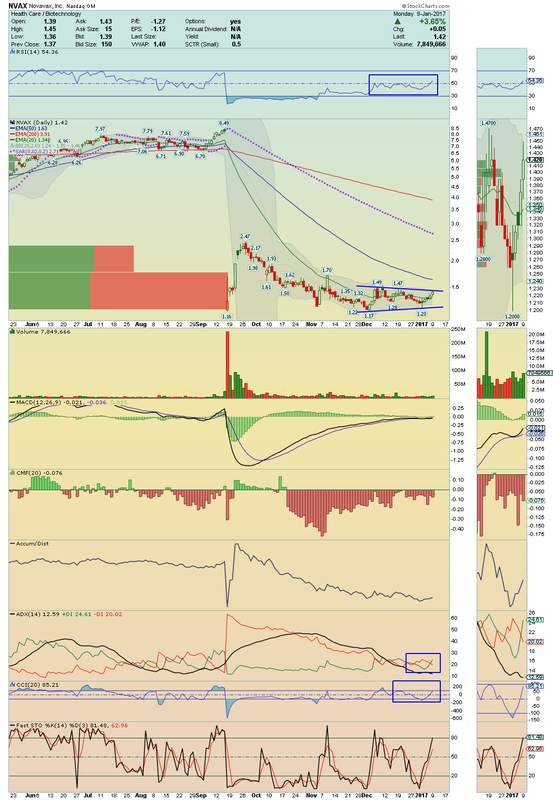 Worth watching for a possible squeeze on the break over $1.68!